Are your hotel employees disengaged? If so, Beekeeper and ALICE are inviting hoteliers to attend a Webinar on Wednesday, December 12th at 1:00 p.m. EST, that will address one of the biggest problems in hospitality today: Employee Engagement. With 43% percent of Millennials envisioning leaving their jobs within two years and only 28 percent seeking to stay beyond five years . . . and 61 percent of Gen Z having even less loyalty, saying they would leave within two years if given the choice (Deloitte) . . . hoteliers are finding themselves desperate to implement innovative ways to reach and retain their workforce. Employee Engagement: The Heart of Hospitality Innovation for the Next 10 Years is a 30-minute online informational session designed to answer hoteliers’ most pressing questions, including: What can I do to make team-member jobs easier and more fulfilling? 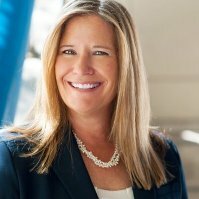 “Employees are the heart of the hospitality business, and employee engagement is crucial for it to thrive,” said webinar Co-Presenter Connie Rheams, global head of hospitality for Beekeeper, an award-winning digital workplace app that engages employees by connecting a hotel’s operational systems and communication channels within one secure, intuitive platform. “By digitally removing any and all communication barriers, hotel staff can provide an exceptional guest experience. 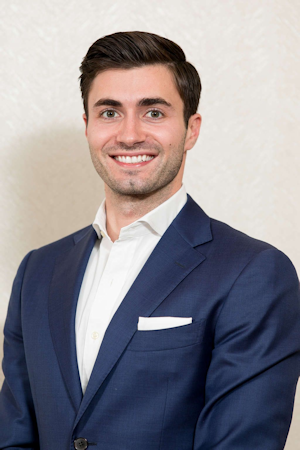 “While hoteliers recognize the value of task management tools for service delivery and preventive maintenance, they often overlook the employee-engagement benefits of the technology,” said Co-Presenter Alex Shashou, president of ALICE, a hotel operations platform that manages staff work and guest communications across departments. “Hotels by nature are filled with mundane, repetitive, impersonal tasks, yet the people who choose to work in the hospitality business do so because they like to interact with others. A hotel employee who considers himself or herself to be a ‘people person’ may feel uncomfortable or unfulfilled working in a fine-margined business environment focused on speed and efficiency. When this happens, the employee may feel checked out or leaves, and guest service suffers. To register for “Employee Engagement: The Heart of Hospitality Innovation for the Next 10 Years,” click here. Beekeeper is a digital workplace app where operational systems and communication channels live within one secure, intuitive platform. Beekeeper connects desk and non-desk employees across locations and departments in real time via mobile or desktop and includes an intelligent dashboard to help companies improve internal communication and streamline business processes. The company is based in Zurich and San Francisco and supports users in more than 137 countries. For more information, visit www.beekeeper.io. Since the company was founded in 2013, ALICE has gained serious traction in the industry, working many of the world's leading hotel brands. For more information, visit aliceplatform.com.